The Vets | Welcome to Tethera! 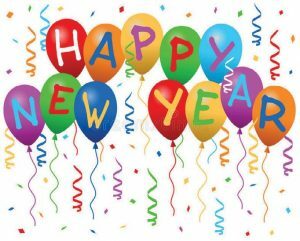 Happy New Year to all our clients! Congratulations to the winners of our Christmas quiz, the Bousfield family at Holme Farm Appleby. and Mr Ewin, Eden Flatt. Don’t forget we have a ‘responsible use of medicines talk’ at Appleby Golf Club on Wednesday 23rd January at 7pm. Spaces are filling up fast so call the practice to book your place! a calf gets the best start in life. It provides the calf with antibodies against all the diseases its dam has encountered, is an excellent source of fats and proteins, contains vitamins, promotes ‘good’ bacteria in the digestive tract and contains hormones which help development of the intestines. The ‘5 Qs’ are a handy way to make sure that colostrum management is tip top on your farm! Age ­ cows generally higher quality than heifers. Length of dry period ­ a short dry period usually lowers colostrum quality (at least 4 weeks is necessary to produce good quality colostrum). 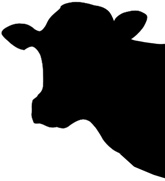 Vaccination status of the dam ­ antibodies passed on to the calf. Stress during the last 5 weeks before calving ­ less antibodies are transferred to colostrum if the cow is under any kind of stress in the last 5 weeks of pregnancy. Cows with mastitis, chronic disease or that have leaked milk before calving have a much reduced colostrum quality. Ideally all colostrum should be tested prior to feeding, with only good quality colostrum fed at the ﬁrst feed. We have a refractometer at the practice to test colostrum quality if you are interested in assessing the status of colostrum. Results can be surprising ­ colostrum that looks like it would be good quality is not always so! If in doubt, we stock Immucol Platinum colostrum. This contains highest levels of antibodies of all the replacers and is guaranteed Johnes, EBL and IBR free. As always, the colostrum from cows that are positive for Johnes should NOT be fed to calves. Colostrum should be fed as soon after birth as possible! The highest absorption of maternal antibodies is in the ﬁrst four hours after birth. You may have heard the gut of the newborn calf described as being ‘open’. This means that it is able to absorb larger proteins than an older calf could. These large proteins include the mother’s antibodies, but also E.coli and other opportunistic bacteria. As soon as the ﬁrst large proteins are absorbed the gut begins to close. It is very important to make sure that the ﬁrst proteins are antibodies and not bacteria!! Otherwise a calf may well develop septicaemia or scour. As mentioned above, any bacterial contamination will put the calf at risk. Bacterial numbers double every 20 minutes in colostrum stored at room temperature. All equipment used to collect, store and feed colostrum should be scrupulously clean! There should be no visible dirt, equipment should be cleaned with detergent between feeding and allowed to air dry. To lengthen the shelf life of colostrum it can be refrigerated for up to 2 days. Alternatively it can be frozen for up to 12 months. Make sure to label the bag with the cow ID and date of collection so any colostrum from a cow subsequently found to be Johnes positive can be traced and destroyed. Any calf fed colostrum from another dam should have its number recorded. Before feeding, frozen colostrum should be gradually reheated and not microwaved. Up to 50% of calves do not get enough colostrum. It is useful to monitor the success of a colostrum protocol so amendments can be made if necessary. We can take a blood sample from calves aged between 1 and 7 days of age to test total protein level. We test this in house, with results available by the end of the day. We have had a few cases of clostridial disease diagnosed lately ­ this can be a signiﬁcant problem in unvaccinated ﬂocks and often the only sign of infection is sudden death. Pulpy Kidney ­ most commonly Associated with a change in diet and concentrate feeding. Sudden death. 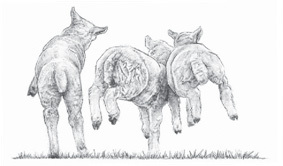 Braxy ­ unvaccinated weaned lambs in the winter months, associated with ingestion of frozen root crops or Sudden death. Lamb dysentery ­ commonly seen in lambs under three week of Lambs may appear hunched up with a bloody scour, but are often found dead. Blacks disease ­ associated with immature ﬂuke migrating through the liver in late summer/early autumn and can aﬀect unvaccinated sheep of all Sudden death. Several vaccines are available which are very eﬀective. 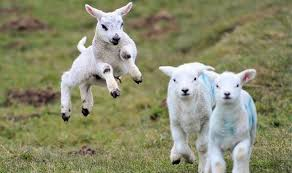 In general the protocol is to initially give two vaccinations four to six weeks apart followed by an annual vaccination four to six weeks before the expected lambing date. Lambs can be vaccinated from three weeks old so the protocol is complete before weaning and the subsequent decline in protective antibodies from the ewe. Nearly all cases of clostridial disease are fatal so prevention with vaccination is essential! Some cases of blackleg and bighead may respond to treatment with Penicillin and anti­inﬂammatories if caught early. It’s that time of year again! In this month’s festive newsletter we have a Christmas quiz, with a prize to be won! We also have an article about the new scour vaccine for cattle. We will be hosting a ‘Responsible use of medicines’ talk on 23rd January to help compliance with Red Tractor Recommendations. Details are on the back page – please call the office to book your place! Please call the oﬃce to conﬁrm your place. As always we are available 24/7 for emergencies. Finally, we would like to wish you all a very Merry Christmas and a Happy New Year! Appropriate medicine usage, critically important antibiotics, storage, handling, safe administration, understanding data sheets, withdrawal periods, avoiding antibiotic failures, record keeping and dry cow therapy. m Assurance recommendation that at least one member of farm staﬀ should be trained in medicines administration. Food and a certiﬁcate of attendance will be provided. 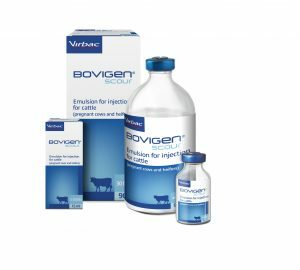 Virbac’s calf scour vaccine Bovigen Scour is now registered for use as a 1­shot vaccine in both cows and heifers, regardless of previous vaccination status. 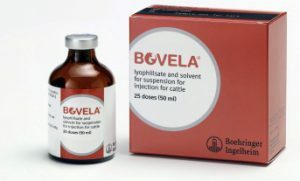 The vaccine, given 12­3 weeks prior to calving, boosts the dam’s colostrum antibody levels to rotavirus, coronavirus and E. coli K99 – the major viral and bacterial causes of calf scour. colostrum management program is therefore essential. Calf scour is a very common and distressing problem, and Bovigen Scour oﬀers an eﬀective option in the management of the disease. If you are concerned about calf scour please get in touch with the practice to discuss the potential beneﬁts of using the vaccine in your herd. Can you work out the answers to the following questions? The answers can all be found in the anagrams beneath the questions. Hand back your completed question sheet for a chance to win a prize. Often associated with winter and Christmas time, the robin is a welcome sight as the weather turns colder, but what is their favourite thing to eat for Christmas dinner? In which country do they believe that cows begin to talk and seals take on human form on New Years Eve? Turkeys often form the centrepiece of a Christmas dinner, but in medieval times what bird was enjoyed to celebrate on the 25th? The three wise men said to have attended the birth of Jesus arrived on camels, but if one of the camels had given birth in December which month would they have conceived in? The nativity suggests Shepherds were watching their ﬂock at night when an angel appeared and gave them a fright, but what breed of sheep would they be watching over? as new directors of Tethera. We are very happy to have found two vets with the qualities to develop develop the business and keep the company in private hands. A thank you to everyone who has attended our BVD Stamp It Out meetings. If you didn't manage to get to one of our meetings this year, fear not, we will be arranging more in the new year. If you think you may be interested in attending one of our future meetings then please give us a ring or mention it when you're in so we can give you some more information. Which bacteria is causing my mastitis? t cultured BEFORE you treat her. Taking a sterile milk sample is important here as we only want to culture what’s in the milk, not what’s on her udder and teat skin. It’s a good idea to try and take samples from all clinical cases and freeze, these can then be submitted for culture at a later date should you need. ­ Staph Aureus, a contagious bacteria (often spreading cow to cow during milking time), can cause both clinical and sub­clinical mastitis so you may just see high somatic cell counts (SCC). Often diﬃcult to eradicate from the udder and can result in cows intermittently having high SCCs on record. Control measures include hygienic milking practices, eﬀective dry cow therapy for high cell count cows, good parlour upkeep to prevent teat damage, and consistent culling policies. ­Strep Uberis, found mainly in the environment but there is also evidence for spread cow to cow, straw yards are a big risk factor for this kind of mastitis. It can cause both clinical mastitis cases and elevated SCCs. Control, maintaining a hygienic environment and including both pre and post dipping in milking routine. ­ E.coli, found in the environment (high numbers in soiled bedding and faeces), wet and humid conditions will increase the rates of infections in cattle housed and at pasture. Cows are at a high risk of developing E.coli mastitis just after drying oﬀ and just prior to calving. Subclinical infections are uncommon, cows with clinical mastitis vary from mild and self­curing cases to severe and life threatening infections. Control, improving general hygiene and good teat hygiene at drying oﬀ and in the parlour. ­ Strep dysgalactiae, more widely distributed in the environment than agalactiae, cows are often infected between milkings when the teat end comes into contact with faeces or soiled bedding. Infection can also occur at milking time if there is poor udder preparation or if there is poor teat condition. Clinical cases are relatively easy to treat. Control, good milking routine with attention paid to teat condition and maintaining cleanliness in the shed. ­ Strep agalactiae, this bacteria survives only in the udder, so is easier to eradicate from the herd than some other bacteria. Commonly causes sub­clinical mastitis and is transmitted cow to cow. Often it only aﬀects one quarter and bacteria are excreted intermittently causing peaks and troughs in your SCC data. Control, good milking routine, appropriate antibiotic usage for clinical mastitis cases and for high cell count cows at drying oﬀ. The weeks surrounding tupping and just afterwards are crucial in deciding the scanning % and therefore the success of your lambing period. Early embryonic losses are not uncommon in sheep and can be due to a range of factors that you can address to avoid a low scanning %. 3.5 (depending on upland or lowland ﬂock). It is important to maintain this condition into early pregnancy and keep your ewes on a level plane of nutrition for the ﬁrst month encouraging embryos to hold. Avoid a sudden change of diet ­ if the weather turns in early winter, supplement your ewes with some extra forage. After implantation occurs (months 2 & 3) ewes may be allowed to slowly lose 0.5 of a condition score if they were tupped at the ideal BCS. Thin ewes should be encouraged to slowly gain weight over this period. Infections can cause pregnancy losses, either directly (toxoplasma can cause early losses) or indirectly through making the ewe immunosuppressed or decreasing the availability of nutrients (chronic ﬂuke or fever). Toxoplasma lifecycle reminder ­ cats are the deﬁnitive host for toxoplasma and shed oocysts in their faeces, the oocysts can then contaminate pasture and infect Toxoplasma can then be spread transplacentally and cause foetal death in early pregnancy, still born and weak lambs if the infection occurs mid pregnancy or birth of normal but infected lambs if ewes are infected late pregnancy. The infected but otherwise normal lambs will abort their ﬁrst lamb if kept and bred from. Vaccination is the best control measure to prevent and limit further abortions. ­Enzootic abortion, caused by chlamydophila abortus and transmitted from sheep to sheep through abortion material and discharge. Ewes infected during late pregnancy (last six weeks) will abort the next pregnancy. Vaccination is the best control measure. Selenium/Iodine deﬁciency, ewes deﬁcient in selenium can have a lowered fertility and produce lambs with white muscle disease, ewes deﬁcient in iodine can have late abortions, still born and weak Selenium and Iodine appear to work together to ensure that brown fat is mobilised properly in young lambs which improves lamb survival. It is important therefore to ensure the diet being fed to the ewes contains suﬃcient amounts of both minerals. As we say goodbye to summer, it's time to focus on the next challenge, whether that be tupping, autumn calving or j ust preparing for winter. 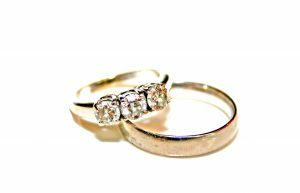 'We would like to wish Sophie and Richard massive congratulations on their recent engagement, it really is lovely news and we are all very excited in the office at the prospect of a good party!!!! We wish them all the very best for a long and happy future together. Milk recording forms a crucial part of monitoring the health of your cows and can provide a huge amount of useful information when trying to pin point where a problem is coming from. The more regularly you record, the more data there is to work with, however, even less regular testing can aid in diagnosing problems. ­ Is this her ﬁrst high cell count? Or has she had high cell counts before, either in this lactation or previous, multiple high cell counts can indicate a chronic infection. If she recorded high before drying oﬀ and is still high at ﬁrst recording, this indicates she hasn’t cured over the dry period. ­ Where is she in her lactation? If this is her ﬁrst recording after calving, it’s likely she picked up the infection during the dry period or at calving time. If she spikes high later during lactation its likely she’s picked up infection from the parlour or the shed/pasture. ­ Does she have clinical mastitis? Or is the high cell count the only sign, this can help identify which bug might be causing the problem. For example, E.coli mastitis will likely cause visible changes in the milk and a sick cow, but infection with Staph. Aureus can be subclinical ie, only elevated cell counts. ­ Is she the only high cell count cow from the group, or are there multiple cows spiking high at the same time? This could relate to a seasonal or management change, it is worth looking back over previous years data to see if the trend is repeated year on year. ­ What is your herds Johne’s status? Johne’s can contribute to high cell counts and reduced fertility in the herd. Having considered the above, we can start to target our approach to eliminate the cause of high cell counts in the herd. Liver ﬂuke, or Fasciola hepatica, is considered to be endemic in the wetter areas of the UK. This of course includes the Eden valley and surroundings where we are not unfamiliar with a spot of rain! For years the mainstay of treatment has been products containing Triclabendazole, as these are eﬀective against all stages of ﬂuke. Unfortunately our reliance on Triclabendazole has lead to resistance developing on farms across the country. Grazing management, fence oﬀ wetter areas of pasture and consider not grazing high risk pastures during periods of highest risk (late summer/autumn). Only use ﬂukicides when necessary, take into account the history of occurrence on your farm, parasite forecasting (NADIS provides monthly updates on parasite forecasts) and if we have diagnosed ﬂuke on your farm (through muck sample analysis). Only use Triclabendazole when targeting immature ﬂukes, at times of the year when acute ﬂuke disease is likely (such as late summer/early autumn) it is appropriate to use triclabendazole. At other times, when targeting mature ﬂukes is the goal (winter, spring and early summer), consider using a diﬀerent treatment (we stock Albex, Solantel and Closamectin). Correct dosing, weighing individual animals for dosing is best practice, however we know that this is not always possible, so animals should be grouped together according to estimated weight and dosed for the heaviest animal in the group. Underdosing animals can lead to some ﬂuke surviving. Quarantine incoming stock, reducing the risk of introducing resistant ﬂuke to your farm, SCOPS and COWS provide good guidelines for quarantining sheep and cows respectively. Carry out resistance testing via faecal egg reduction tests so we can assess the current situation on your farm. Please call the surgery to discuss or for the protocol for testing. Stones, or uroliths, can form in the bladder of tups fed on concentrate rations that are high in phosphate and magnesium. These stones can then lodge in the urethra (the tube that carries urine from the bladder to the outside), and cause a full or partial blockage. A blocked urethra not only causes severe discomfort, but can lead to kidney failure and death if left untreated. ­ Presence of crystals in the wool around the prepuce may be indicative of stones, but can also be present in normal tups. If you notice a tup displaying any/all of the above signs, please contact us for advice as prompt veterinary treatment is essential in cases of blocked rams. This problem can be avoided by providing a source of fresh accessible water, adding ammonium chloride to the ration, supplementing the diet with sodium chloride (to increase water intake) and providing adequate roughage to stimulate saliva production and increase water uptake. 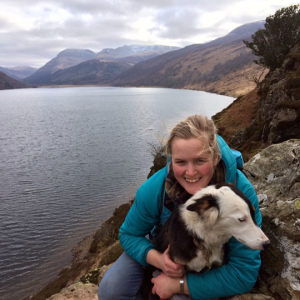 This month we welcome our new vet, Kay McDonald. Kay graduated from Liverpool University in 2018 with distinction. 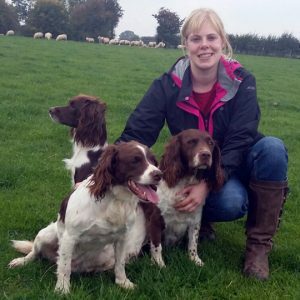 She’s moved to Appleby from Northumberland to start her career in farm animal practice. If you see her passing by please say hello. You may have seen recently in the farming press that the government is putting £5.7 million into BVD control in England. This money will be available for the next 3 years. BVD is estimated to cost the industry £60 million/year, and causes poor health in calves and infertility and abortion in adults. The aim is to dramatically reduce the prevalence of the disease by testing 50% of farms in England. Many other countries have eradicated BVD or are in the process of doing so, so that BVD eradication is very achievable! Initially, £61.80 will be available for a ‘check test’ to see if BVD is circulating, all the costs of sampling will be covered as well. If BVD is found to be circulating, £440 is available to do a more detailed search to ﬁnd any persistently infected cattle. This funding is available to all cattle farmers, including those who are already BVD accredited or are tissue tagging. Even if you are vaccinating it would still be worthwhile making the most of this opportunity to test, to check that vaccination is working eﬀectively. In order to access the funding farmers must attend one of the meetings and sign up prior to the meeting. Both meetings are at Appleby Golf Club. Pie and peas will be provided! Places are limited to 10 farms per meeting, although if there is a lot of interest we will arrange meetings for next year. Congratulations to Show Quiz winners! Appleby show quiz was won by the Hewitt family, Bankhead. Dufton and Crosby show quiz was won by Jo Brown, Bow Hall. Thank you to everyone that entered. Body condition ­ rams in the optimum BCS of 3­3.5 produce a signiﬁcantly higher amount of testosterone than thinner or fatter tups. We are participating in a clinical trial into foul in the foot in dairy cows. The aim of the study is to identify the diﬀerent strains of the bacteria which cause the problem. Any dairy or beef farm can participate. The study requires a swab to be taken from an animal which has not been footbathed or had antibiotic treatment within the past 3 weeks. 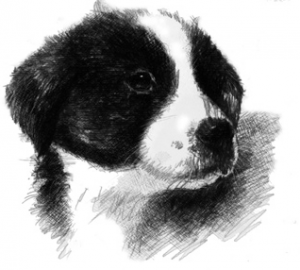 A swab and medium are provided and the sampling can be done by yourselves or a vet. To take the sample, clean the foot with water only and then dry the space between the toes. The swab needs to be taken from the centre of the foul lesion and put in the fridge until it can be sent oﬀ. Please let us know if you are interested in taking part in this study. Summer is well and truly here! Hopefully you have all had chance to make some good silage and hay. There have been some significant changes to the Red Tractor Farm Assurance scheme recently. Please take time to read over the changes which we have outlined in this month’s newsletter and get in contact if you have any questions. 1. Dairy, beef and sheep farms- as you are hopefully already aware, the highest priority critically important antibiotics (HP-CIAs) must now only be used as a last resort, under veterinary HP-CIAs are deﬁned as 3rd and 4th generation cephalosporins, ﬂuoroquinolones (and colistin). The reason this has come into force is that HP-CIAs are used as a last resort for humans. There has been a lot of publicity in the press recently about antibiotic resistance, so it is important that we safeguard the future use of HP-CIAs in both human and animal medicine. The use of any of the above drugs on a red tractor farm must now be supported by a vet report and diagnostic testing which demonstrates that the above drugs are the only viable option. This evidence must be produced at the farm inspection, and failure to provide this evidence will result in a non compliance. Please get in touch if you have any questions about the rules, alternative treatments, or health plan requirements. Alternatively please ask any of our vets when we are out on farm. 2. Beef and sheep farms are now required to have a health plan (including antibiotic usage review) completed by their Please contact us at least a month before your visit is due as it takes time for us to collate antibiotic usage. We have vouchers for up to £50 of BVD testing for you! Remember, when vaccinating for BVD it is important to do some on-going testing as no BVD vaccine is completely foolproof if a PI is present. Please ask us for further details and to discuss the best test for your herd. Several milk buyers (Arla, Omsco, Meadow Foods, Nestle) require a written Johnes action plan to be signed and implemented by 31st October 2018. Every farm must now know their herd status, which involves testing a minimum of 30 cows once/year. Because Johnes testing needs to be done at least 60 days after the TB test, the next few months will be a good time to arrange testing. Once testing is completed, we can then provide a written plan. Please contact us if you would like any further information. Come and join us for a brew and the craic at some of the local shows we attend . . . 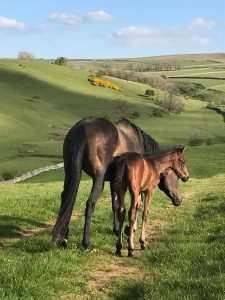 Yes, we’ve only just ﬁnished lambing 2018, but it’s not too early to start planning for next year. . .
discharge and is easier to remove than sponges. The CIRD is left in place for 12 days, with an injection of eCG at removal. Oestrus occurs 1-2 days after this. Did you have more than 5% abortions during lambing 2018? If so, the Flockcheck scheme is running again until 31st July. This is a free blood test for up to 8 ewes and will test for Enzootic and Toxoplasma abortion which are both preventable by vaccinating. Please get in contact if interested. If anyone is interested in using Regulin implants to bring forwards next year’s lambing please let us know as soon as possible as implants will need to be inserted soon! Regulin can advance lambing by up to 6 weeks. Digital Dermatitis is a serious problem on many dairy herds, and an increasing number of beef herds. If a high proportion of the herd is affected it can have a severe impact on yields and fertility. It’s not easy, but it is definitely possible to keep it under control. 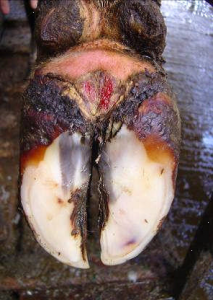 First – if you don’t have Digi on your farm – if you’ve never seen lesions like the one on the picture – keep it out! Don’t buy in cattle, and ensure that all foot trimming equipment is cleaned and disinfected before coming onto your farm. Hygiene is important – keep feet as clean as possible. 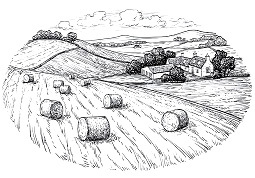 Run automatic scrapers as frequently as possible, ensure ventilation and drainage is good, and keep any straw yards dry and well bedded. A 200 litre footbath will need 6 litres of formalin or 6kg of copper sulphate to make a 3% solution. Around 200 cows is generally the most you should put through a footbath before changing it, though that depends on the size and how clean the feet are. Frequency is the key to success – if there’s a lot of Digi about, you’ll have to footbath more frequently. Many farms footbath 5 days a week; farms with less of a problem may get away with twice a week. Make it easy! Set up a system that becomes part of the normal routine. Antibiotic footbaths are effective, but shouldn’t be used routinely. Digi can be kept under control by regular footbathing with formalin, copper sulphate, or other proprietary products (if using formalin, make sure you’re not breathing in the fumes when milking – it’s nasty stuff). If Digi is allowed to get out of control, an antibiotic footbath may be needed to get it back under control, before starting a regular programme of routine footbathing. Antibiotic footbaths are off-licence, and a potential risk for antibiotic resistance, so we should avoid using them where possible (they’re also expensive!). If you’re seeing Digi amongst your cows, speak to a vet about the best way to get on top of it on your farm. Keeping some simple figures at lambing time can really help us to make improvements within your flock. Even if the most basic tally chart was kept at lambing time it would give us something to work on. Basic information to keep: Number of lambs born dead, number of lambs died after born alive, number of ewes died over lambing period, number of lambs marked, Number of lambs sold later in the year. Relate these figures back to scanning results. National average for losses between number lambs scanned and number sold is a much as 22% really we should be aiming for 10% loss or less. The more details/ records kept the better chance we have of improving productivity. Beyond basic records would include: number stuck lambing, number of prolapses (pre and post) number of cases of watery mouth, scour, joint ill. Weight gains and a calculated DLWG of the growing lamb. If you would like a recording sheet for basic and more detailed information please pick one up from the practice. 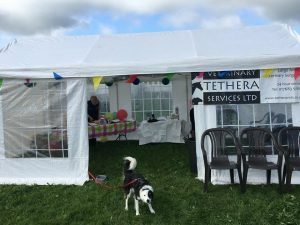 © 2019 Tethera Veterinary Services Ltd.